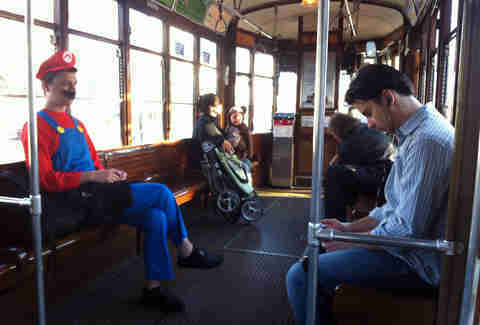 Everyone in this city, at some point or another, rides Muni. 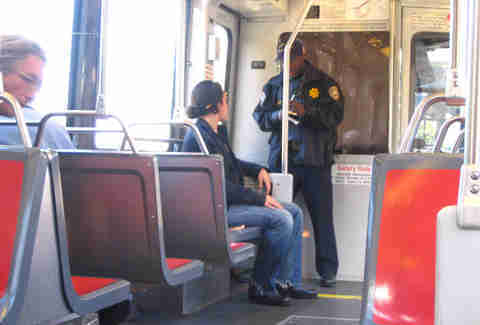 The problem is, not everyone seems to know how to ride Muni. No, not in the "how does this crazy moving machine work?" kinda way, but more specifically, the "how can I be a decent human being that doesn't make everyone else's commute miserable?" kinda way. 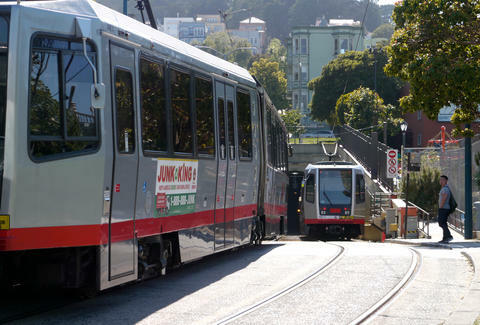 Well, we're here to help with these: The Unwritten Rules of Muni (which we guess are now written... shhhh). Rule 1: If you're paying with change (why are you paying with change??? ), kindly let everyone else go first, before you empty a Coinstar's-worth of pennies into the machine. Rule 2: Always check the seat before you sit down. ALWAYS. Rule 3: There's a time to be chivalrous, and there's a time to sit the hell down (but first: see above). Rule 5: Don't set your bags on the floor either!! Unless you're planning on burning them when you get home, in which case, set away. Rule 6: Never engage, even if they look normal. If they are trying to talk to you on public transportation, we promise you they are not normal. Rule 7: It's cool if you want to try and "surf" without holding on to anything, but if you fall into me, I will end you. 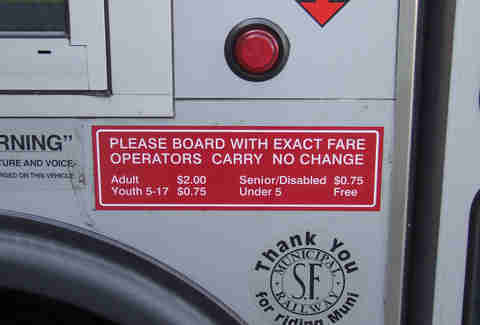 Rule 8: DO offer your seat up to the elderly, pregnant, and infirm. DO NOT sit there with your headphones in pretending you don't see someone's Grandma. Rule 9: Don't mess with Epic Beard Man. Rule 10: If you're waiting to step off and the person in front of you doesn't know how, touch the rail/step down for them with as little eye-rolling/exasperated sighing as possible. They're new here. Rule 11: Always try actually activating the sensors (stepping down/touching the rail) before yelling "BAAAACK DOOOOOOR". Rule 12: Turn your music down. Also, sweet Dashboard Confessional song, bro. Rule 13: As with NY subways, these are the only 10 foods you're allowed to eat while on the Muni. Rule 14: Escalators: right side is for standing, left side is for people who don't have the luxury of standing around all day. Rule 15: If you are inebriated, that's fine, just be aware that everyone else around you hates you. Rule 16: Just pay. It's only $2. Rule 17: This should go without saying, but unfortunately it needs to be said: no farting. 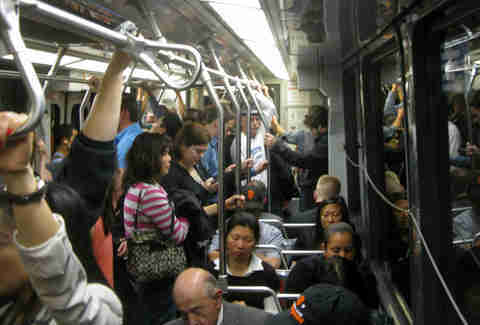 Even if you're on the crowded N going to a Giants game and no one can pinpoint you, DON'T FART. Rule 18: Move to the middle of the car!! We see all that space in there and yet everyone's gotta be at the front. Stop it! Rule 19: Wear deodorant. Chances are, you will be lifting up your arms. Rule 20: Just, ya know, try not to be horrible.